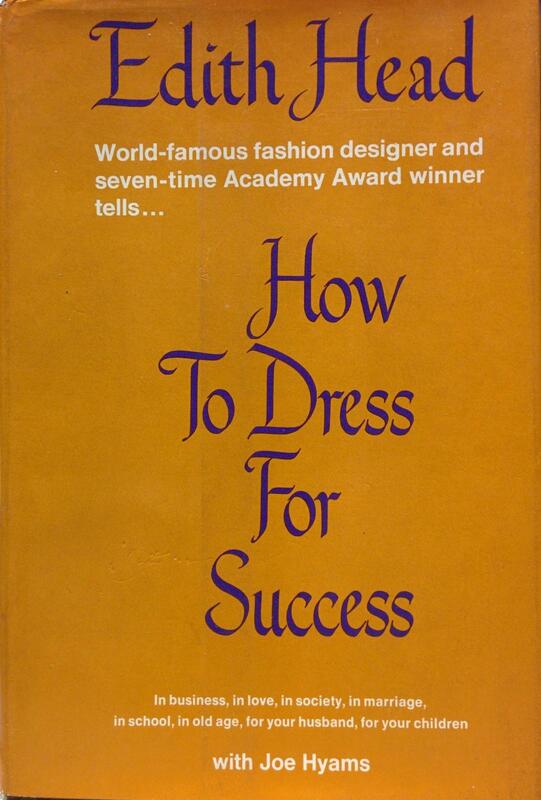 FAQ #2: WHY EDITH HEAD? VINCE: Of all the costume designers in all the towns in all the world, why make Edith Head the centerpiece? ROSEMARIE: She blazed a trail in Hollywood. At a relatively young age she was in charge of Paramount’s costume department. Her name was on most of the movies that came out of the studio for decades. She was a woman executive at a time when there weren’t many of them. V: Did anything about her experience resonate with you as a woman in a position of authority? R: I think any woman in a managerial job faces similar challenges. You have to know how to treat the people who work under you, how to keep your bosses happy, how to maintain your own integrity in the work that you do. Edith had to learn to be a politician in order to keep her job. V: Also, she didn’t have the pedigree of her predecessors at Paramount. Edith started at the bottom and clawed her way to the top. Like you did. R: Leaving a trail of bodies in my wake. But it’s true, another reason I identify with Edith is she rose through the ranks. She began as an assistant sketch artist and became Paramount’s lead designer. One day she’s a peer and the next day she's the boss. That’s an interesting position to be in, with a lot of drama. V: I can tell you what appealed to me. There’s a song by They Might Be Giants called “(She Thinks She’s) Edith Head,” with the lyrics: “She thinks she’s Edith Head / Or Helen Gurley Brown / Or some other cultural figure / We don’t know a lot about.” That’s true, and it’s catnip to me as a writer. People are familiar with Edith’s name, her work, her image. They know what she represents, but the specifics of her life are hazy. And Edith wanted it that way. She wrote an autobiography and has three biographers, but the details don’t always line up because she played a lot close to the vest. R: She knew the value of publicity. She had a story at the ready when anyone interviewed her, and over the years the stories would change. V: And that flexibility, that willingness to fudge the facts to improve the story, is perfect for us. I feel like she’s giving us license. R: Above all, Edith is an iconic figure. She was on television, she wrote books. She believed in getting her name out there. V: It was part of her strategy to forge a role for herself. For her it wasn’t about being the best costume designer, because she knew she wasn’t the best. R: Exactly. She knew she wasn’t Adrian or Jean-Louis. She knew how to do her job, but she didn’t think she was a genius. So she found other ways to establish her name, like giving advice to average women on Art Linkletter’s House Party on radio and TV. V: Which made sense given her approach to costume design, dressing the character and not the star. She created a role for herself as America’s style maven. She knew she wasn’t perhaps the best person for the job, but she understood before anyone else that the role existed. R: Her audience consisted of women who weren’t getting Vogue and couldn’t spend thousands of dollars on a gown. They simply wanted to know, “How do I look better in the clothes I have? If my hips are big, how can I minimize that?” That was the kind of advice she gave people. V: She would tell people if they didn’t look good. “That color doesn’t work for you. That pattern is unflattering.” She was very forthright. R: What Edith did was a precursor to the makeover shows you see all over TV now. She was ahead of the curve. V: We’ve talked about how Edith is famous for costume design, but in many ways the best costume she ever designed was the one she came up with for herself. R: Right. A very distinctive, trademark look. The hair, the glasses, the impeccably tailored suits. In order to preserve her position, she cultivated a particular image. V: She was building a brand, before anyone knew what a brand was. R: Like we’re doing with Renee Patrick. We’re stealing from her again.